*We have a number of different Apartments for rent so if the one’s on the website are stated to be (Not Vacant) please don’t hesitate to contact us at ( info@lagoon-marina.com ) for further information and advise regarding short term or long term rentals! *For longer stays of over 1 month short term we offer 15% discount. 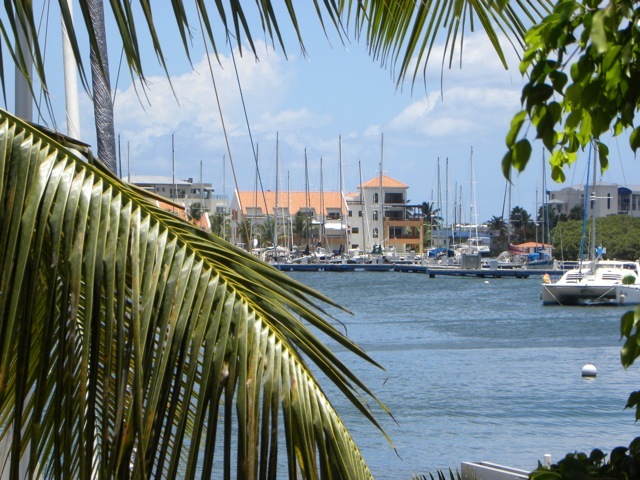 This centrally located, newly renovated apartment is situated in front of the Lagoon Marina docks, overlooking a lush garden and the Colebay Lagoon! It has a big balcony with a dining and seating arrangement, a spacious living room, 2 bedrooms and one bathroom and is fully furnished with a complete equipped kitchen with stainless steal fridge and stove. *For longer stays of over 1 month we offer 15% discount.